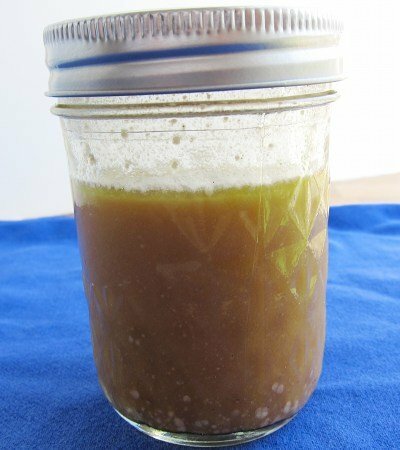 I have been making this dressing for years, but add fresh squeezed lime or lemon juice to it. It really brightens it up. Also love Ina's Ranch dressing. Bye-bye Hidden Valley - even my young kids are converts! I make the same dressing, but I add DILL WEED to it :) Yummy! My favorite is olive oil, white wine vinegar, garlic, salt, pepper, and sriracha. I love homemade salad dressings...although I do buy some store bought ones too. I wish your recipe was not 3 WW points. Do you know how to reduce the use of fats to lower calories in salad dressings? This can be served over greens and veggie salads. My biggest objections to commercial brands are that many have a lot of sugar and the one posted here has MSG. Thanks Snack Girl for posting your recipe. Back to the expensive store dressings. You will also start craving salad more often because they taste sooo much better. Love your site Lisa!! Great timing! Just last night, I made a new dressing in a mason jar! The dressing I made is actually the house dressing used by a great vegetarian restaurant in Toronto called "Fresh". It calls for 1/4 cup water, 1/4 cup apple cider vinegar, 1/4 tsp agave nectar, 1 tsp lemon juice, 2 tsp sea salt, 3/4 tsp freshly ground black pepper, 3/4 tsp tamari, 1⁄4 tsp mustard powder, 1 clove garlic, 1/4 cup flax oil and 3/4 cup sunflower oil. You put all dressing ingredients, except oil, in blender and purée. Then, with blender running, you add oils in a thin stream until dressing is emulsified. I couldn't do the last part - there was no speed low enough so that the liquid didn't spray out the top of the blender as I added the oil! So I just added the oil a bit at a time and pulsed the mixture until fully blended. 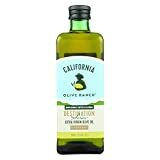 Would avocado oil work in this (and other) homemade dressings? I recently bought some but I never see it in recipes... What are your thoughts about avo oil? Thanks! Love your site! Hi Lisa! If I'm in a diet-conscious frame of mind, I may use merely balsamic vinegar w/added fresh basil/garlic/whatever herbs from my backyard on my lettuce salad. If its just spinach, I sprinkle on my homemade orange zest-infused EVOO & add nuts, red onion, fresh and/or dried fruits, water chestnuts; possibilities are endless! And fresher/tastier than store-bought! Yum-o!!!! I agree, also, with the amount of 3 WWPP being too much. I use a very good balsamic vinegar called Leonardo & Roberto's Gourmet Blends. It comes in flavors, (raspberry, fig, white, etc). It is very thick and you only need about 1 TBL - 1 PP, and tastes wonderful! You can only get it at Craft Shows, fairs or on line. Try it. Yum! I don't like to chop garlic either so I just use the minced kind in the jar. Easy and it's the real thing. I don't know why everyone is 'chopping' their garlic when the old fashioned garlic press works fine with one squeeze. Jaime Oliver's shows taught me you don't even have to get the paper off the clove, just squeeze with it on and it leaves the paper inside to be pulled out. Tried this dressing today- was really tasty! You are so right about making your own dressing- better tasting and cheaper! Warning all my friends. Once you start making your own you for some reason or other eat store bought you will automatically taste the difference! I am shocked how I do not like store bought dressing anymore. Make your own...So easy and takes 5 minutes! 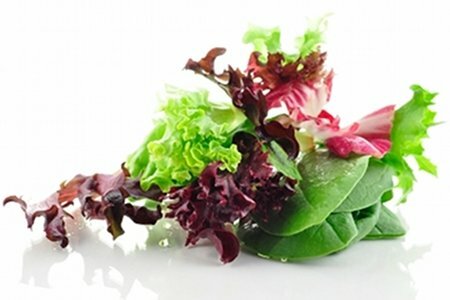 I have been making an excellent buttermilk balsamic dressing that I found on Pinterest, only 1 point per serving, found at www.laaloosh.com.